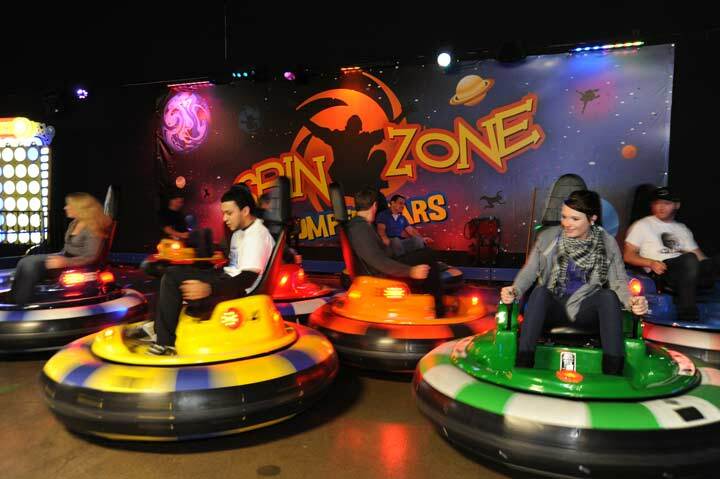 Scene75’s bumper cars feature an inner tube design, making them safe and incredibly fun. Grab a hold of the handles push forward to move forward pull backward to go backwards and use just one to turn. But watch out… the other players will be aiming for your two “Spin Zone” targets on your car! If they bump one of your targets it will activate the “Spin Zone,” sending your bumper car into a tizzy with a 3-second spin! But then it is your turn to get back at them… by bumping your opponents’ targets you can send them spinning away! Scene75 Pittsburgh’s SPIN ZONE bumper cars will have up to 8 cars running at one time. Do you have what it takes to send your opponents and friends into a spin? All riders must be at least 5 years old AND 48” to ride, there are no double seater bumper cars.